I have had a love affair with the written and printed word all my life. An avid reader as a child, my passion for print really took off when I was apprenticed as a compositor in the bygone age of hot-metal letterpress, long before the advent of computers, high-tech printing and ebooks. Much of my career continued around print, in copywriting and as a graphic designer. Now retired from all that, I write books, issues-based and exploring the human condition. I have produced two house renovation books although not yet published them, and an autobiography, Wishing for the Better, is available free-to-read on my website, wordsfromjohn.wordpress.com. 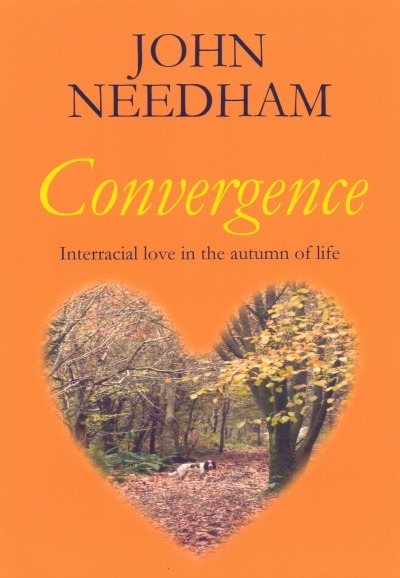 In fiction, my debut novel was Convergence, a story of elderly, interracial love. 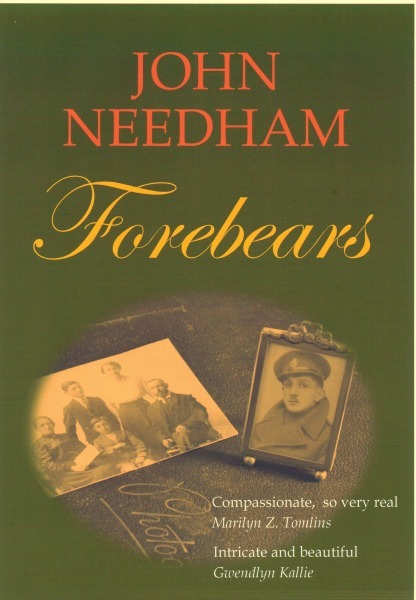 This was followed by Forebears, a family saga set in the east of England spanning 106 years from the early 20th century almost to the present day. A third novel, The One of Us, is about the trials and tribulations and nature/nurture theory of separated-when-babies, adopted identical twins. My latest book, Secret Shame, is a companion to The One of Us, telling the later poignant story of the birth mother of the twins. 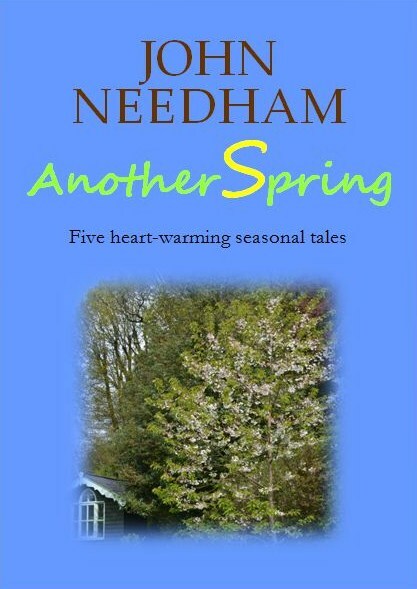 Another Spring is a small anthology of short stories: some of them stand-alone and some modified sample chapters from the novels. I live and write my words in west Wales. This is an eclectic collection of sometimes heart-warming, sometimes poignant, unashamedly emotional tales. Two are slightly altered, borrowed chapters from the author's full length novels Convergence and Forebears, one is a taste of his upcoming novel The One of Us and the final two are stand-alone short stories. They are tales of the seasons of the year; stories from the seasons of life. They are tales of people of the present and people from the past playing out life’s dramas, major or minor, with consequences sometimes trivial, sometimes profound. In Awakening an un-named black girl finds awakening of love in her barren life. In Skeggy Day Out a young girl samples a first kiss with a young man after having a fright at the seaside in 1924. In Baby Blues two couples go through the hopes and anxieties of child adoption, finding they have something in common. In Dream, Dream, Dream the angst of being an ugly duckling teenage boy in the 1950s comes good, with a surprise twist in the tail. In Another Spring a writer reminisces about the recent years of his past in recollections bitter-sweet. These are stories that will tug the heart strings and sometimes make you smile. And sometimes too, perhaps, they might provoke another sort of smile: a wry one of remembrance. When Jay Harding is given his grandmother June’s diary after her death he discovers a vivid picture depicting one Englishwoman’s life from childhood during the dark times of wartime Britain up to the present day. But he’s already learned dark secrets. Prior to her passing his grandmother had told him the story of her forebears beginning in the early optimistic years of the twentieth century, before the world was torn apart by the cataclysm of the first terrible ‘war to end all wars.’ That account gave testimony to shocking abuse, institutional cruelty and tragedy. Now he reads on . . . This compelling, heart-warming and sometimes heart-wrenching family saga takes the reader through 106 eventful years, covering most of the turbulent 20th century and on up to the present day. 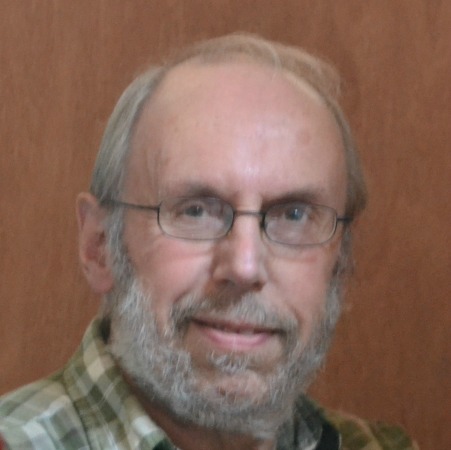 Martin is a bachelor, a house renovator who has retired to a cottage in the beautiful South Shropshire Hills. His final project is a pair of stone cottages: one for himself and his springer spaniel to live in; the other to rent out to supplement his pension. Lily’s parents came to Britain from the West Indies on the Empire Windrush in 1948 in search of a new beginning. She has spent her life as one of the first generation of British-born black people, suffering prejudice in her early life. Also retired, Lily seeks a place in the country for her twilight years too. When Lily becomes Martin’s tenant, their disparate life-lines converge. Just when they’d both thought it would never happen again, romance, surprisingly passionate romance, blossoms. This gentle story of interracial love in the autumn of life is both poignant and uplifting. As the two lost souls coalesce, their melding is ultimately life-affirming; a celebration of intrinsic human kindness. Jim and Maureen Harrison ache to have a child. Glyn and Sioned Rees want a brother or sister for their daughter Lowri. But for both couples, further pregnancy is impossible. So what to do? The answers to both their dreams are sucking their thumbs in the Strawberry Field children’s home in Liverpool: foundlings, twin baby boys. Glyn and Sioned adopt one, whom they bring up in Wales. Jim and Maureen adopt the other, rearing him in north Yorkshire. And so the boys are brought up in very different social and family environments, developing markedly different personalities and aspirations. But are they entirely different? After all, they are monozygotic: identical. Does their genetic commonality confer similar character traits deep down? John Needham’s third novel explores nature/nurture theory, weaving it into an absorbing, at times exquisitely moving tale of brothers. Readers of his previous book, Forebears, will be re-acquainted with warm-hearted, buff, call-a-spade-a-bloody-shovel Yorkshire lass Helen, now taking a larger role, telling her story from an earlier time. This gentle, compelling, sometimes poignant novel tells the boys’ stories in parallel as they grow to manhood, converging to a dramatic, heart-wrenching reunion that will wring your emotions dry. Julie Hawkins has a pretty good life, really. Or so she thinks. Marriage to a rock-solid, dependable policeman. Three lovely kids. A nice house in a smart suburb of Liverpool. It’s the respectable comfortable middle-class dream. She has more, does unassuming little Julie Hawkins née Brennan, than she would ever thought she might have aspired to. But her younger, wilder days, after fleeing a dysfunctional upbringing in Ireland, have left behind a dark, guilty, shocking secret that she’d hoped to keep firmly buried and forgotten. The tranquillity of Julie’s life is shattered when her eldest daughter, Stacey, who’s from a short-lived earlier relationship, goes rebelliously off the rails and finds herself pregnant. And then, just when life is getting back onto an even keel after that upheaval, the ghost from her past emerges and poor Julie seems fated to suffer more heartbreak. She begins a search, a quest of atonement seeking forgiveness of wrongs done to people in her former life. But will she find redemption? 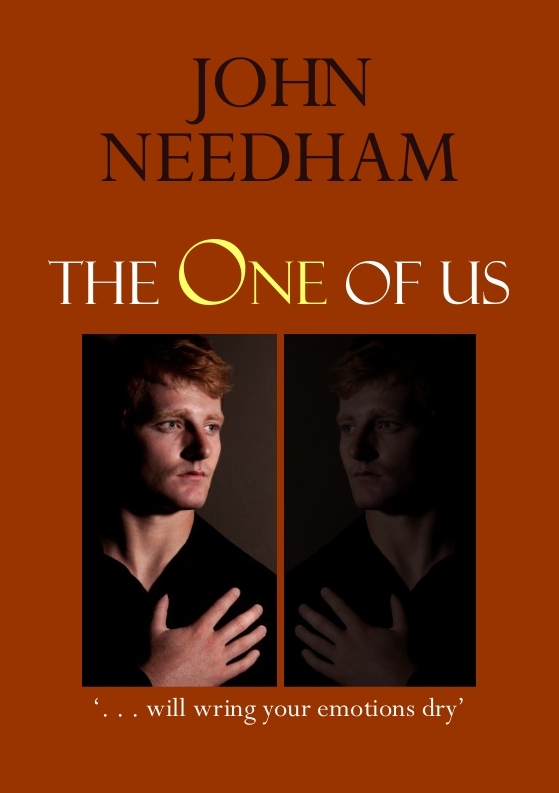 Secret Shame is John Needham’s fourth novel and a companion book to the earlier The One of Us. It is a poignant essay in empathy, tolerance and understanding.